Observation - Bog Asphodel - UK and Ireland. 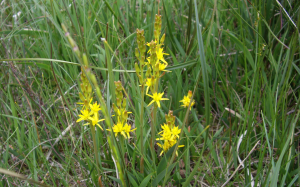 Description: Bog Asphodel flowering has started to finish for another year and the flower heads are turning from bright yellow to a deep orange. Bog Asphodel flowering has started to finish for another year and the flower heads are turning from bright yellow to a deep orange.